Blogging tools are relatively easy to use for Social CRM. They’re structured so that you use a template to fill in all the required information that helps search engines find you. This information includes the title, text, keywords, images, and links. WordPress.org: This tool is the most widely used platform to create websites and blogs. To create a relatively inexpensive yet professional-looking site, purchase predesigned themes. A host of plug-ins extend WordPress.org functionality. To avoid confusion, be aware of the tool called WordPress.com that hosts WordPress sites. 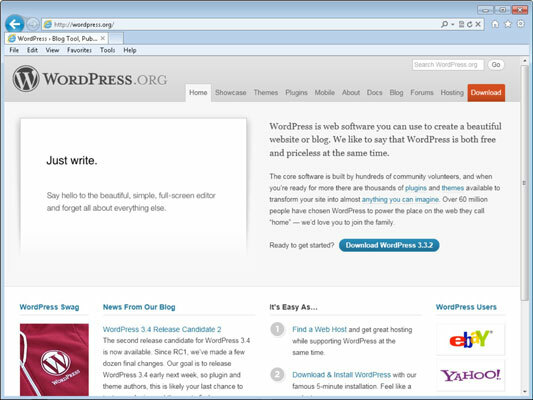 WordPress.org sites are hosted on your own site. Typepad: With Typepad, you create and host a blog on the Typepad site. You can customize your design, and the fee you pay includes technical support. On your blog, comments on each post help create community and build relationships. However, the value of the comments section is often overlooked. One reason may be that comments aren’t easy to come by. Some blogs have a wealth of comments, but most have just a few. Social customers are more likely to comment within a social media platform like Facebook than on a specific blog. The kinds of comments you want on your blog are the ones that invite discussion by a larger group. To encourage readers to leave comments, especially comments that generate discussion, help your readers frame their responses. In a blog post, ask readers specific questions that they can reply to. Replying to a question is an easy way for your readers to interact with you. You could describe an experience that happened to you and ask readers to share a similar experience. Broad questions aren’t as likely to generate comments. When you ask readers to “Let me know how you feel,” you’re inviting a blank comment box.